At Rover, our love for animals extends way beyond dogs. So while dogs are at the heart of what we do, you’ll find sitters on Rover who care for cats too! Go to Rover.com and select the Search Sitters button. Enter your post code of address at the top of the page. Select the magnifying glass icon. On the left side of the page is a list of filters. Beneath Additional Services check the box next to Cat care. Tip: If you want your sitter to come to your home to watch your cat, make sure that the service type is set to House Sitting. 4. Select a sitter profile that seems like a good match to learn more about them. 5. Read reviews, browse photos, and when you’ve found someone great for your cat, select the Contact button on their profile to start a conversation. 6. 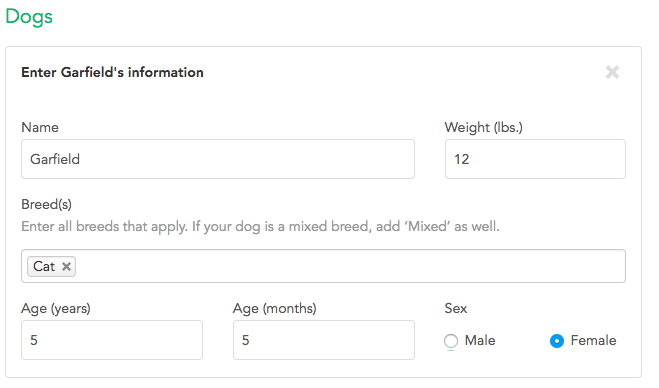 If you haven't created a "dog" profile for your cat already, you'll be prompted to do so. In the breed section of the profile, just select "cat."